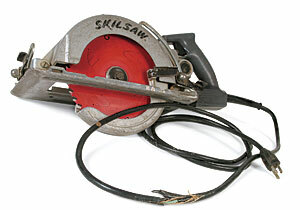 My first circular saw was a Skil HD77 worm drive. One of the first cuts I made with it was through its own cord. As the motor wound down, the weight of the saw caused me to let it drop to my side, where the cord was hanging in the wrong place. In an instant, the cord was in two pieces, and I was looking at lost time and money spent for repairs. 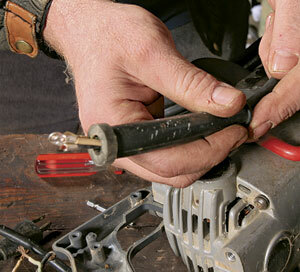 According to Tom Peck, who specializes in power-tool repair and maintenance at Tibby’s Electric Motor Service in Bethel, Conn., cut cords are fairly common, especially with worm-drive saws. 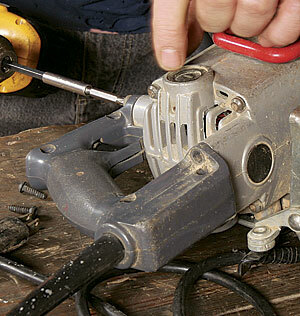 The repair procedure is the same for just about any type of portable power tool. 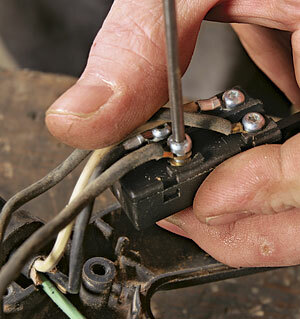 Peck says that if the trigger switch hasn’t been replaced recently, he recommends doing that at the same time you’re replacing the cord. Switches generally are not interchangeable among manufacturers, and cords can be specific to the model and year of manufacture. 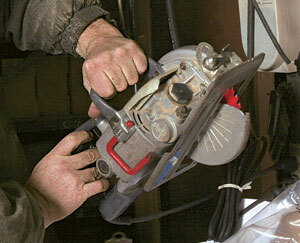 That’s why it’s important to double-check that the saw matches the replacement parts before starting the repair. Peck also makes sure he has the right tools on hand. Even though the Torx-head screws on the HD77 can be turned with different-size straight screwdrivers, Peck relies instead on a multibit screwdriver that contains a good selection of interchangeable bits. Remove the housing screws. 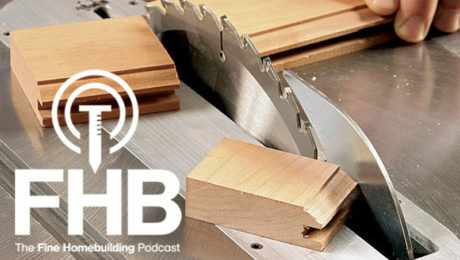 Lay the saw on a table with the screws in the handle facing up. Remove the screws that hold the two sides of the handle together. 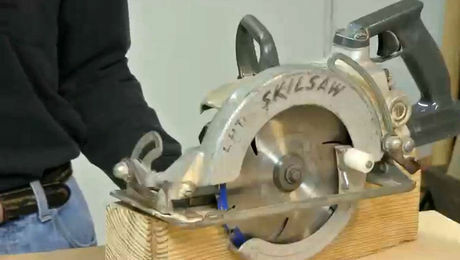 Then remove the two screws that attach this side of the handle to the saw’s body. Remove the cord retainer and switch. 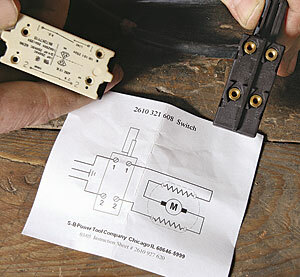 The cord-retainer bracket and the switch both are secured with 15t screws. 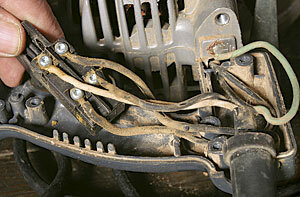 Once they are removed, use a 20t bit to loosen the ground wire. I like simple, well-designed tools. I even appreciate the engineering that goes into a multibit screwdriver. When I have to buy one, I look for a design that has a solid feel, good balance, and a nofrills mechanism for tip changes. I shy away from multibit screwdrivers that look more like robotic transformers than tools. For years, I carried one that had a choice of four drivers (two sizes for both slotted and Phillips heads). I relied on an old Altoids tin to store extra bits. However, plenty of new multibit screwdriver designs are worth a second look. 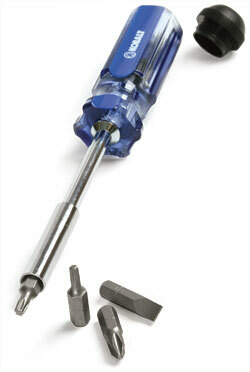 The Kobalt looks and feels like a regular screwdriver, and it has a magnetic tip with interchangeable bits that are stored in a hollow handle. 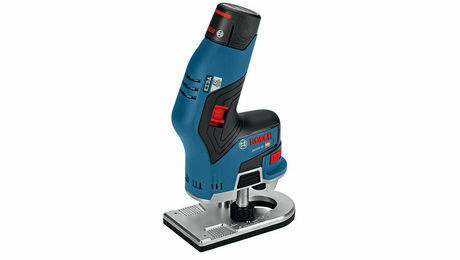 At $5.98 (www.lowes.com), it won’t break the bank, either. The drawing shows where the wires will go. When you’re holding the new switch by the trigger, the neutral (white) wire and positive (black) wire attach to the left side of the switch. The white switch on the left is an old-style switch that might be found in some saws. The black switch is the new replacement. Slip the rubber strain relief onto the new cord. 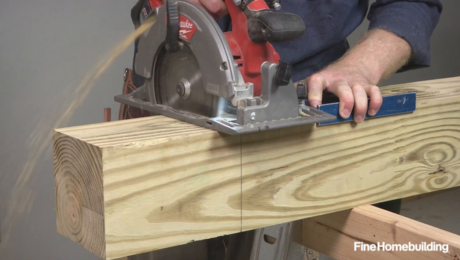 Push through enough wire so that the ground (usually green) wire can reach the saw’s body; then push the strain relief’s rubber flange into its slot in the handle. Attach the wires to the switch. The wires from the saw’s motor are both black. They are interchangeable from top to bottom but not from side to side. 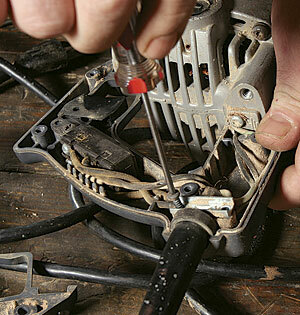 Screw down the cord-retainer bracket. 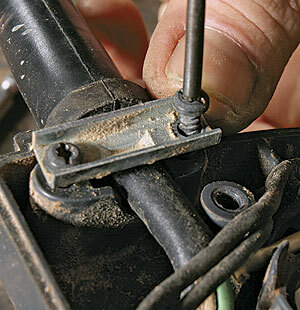 With the strain relief in its slot, screw down the cord retainer, and screw the switch in place. 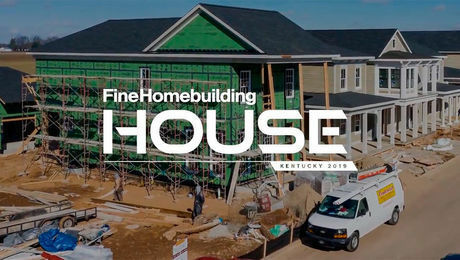 Last, replace the housing. 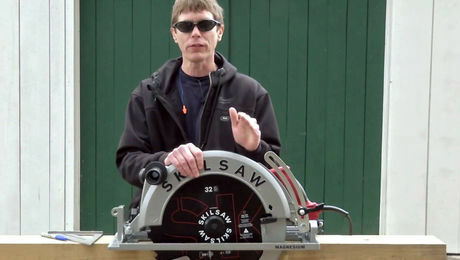 Magazine extras: Watch Tom Peck replace the switch and tune-up a circular saw. With an oil-bath gearbox and a cord instead of a battery, Hitachi’s new rear-handle framing saw is built for all-day cutting.